Local economy ecosystems that meet the basic needs of all people, support just and democratic societies, and foster joyful community life. 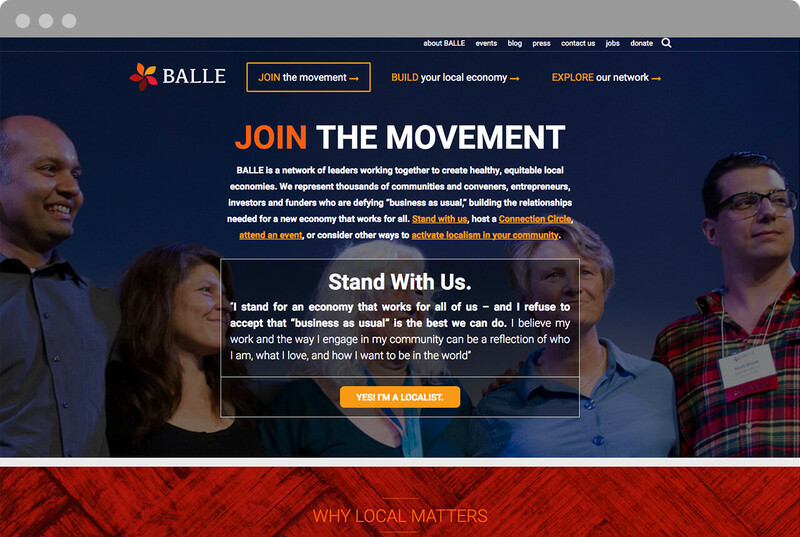 Developing a website and messaging strategy that supports and inspires BALLE Fellows and local communities in their new economy work, while demonstrating a nationally connected movement and theory of change. 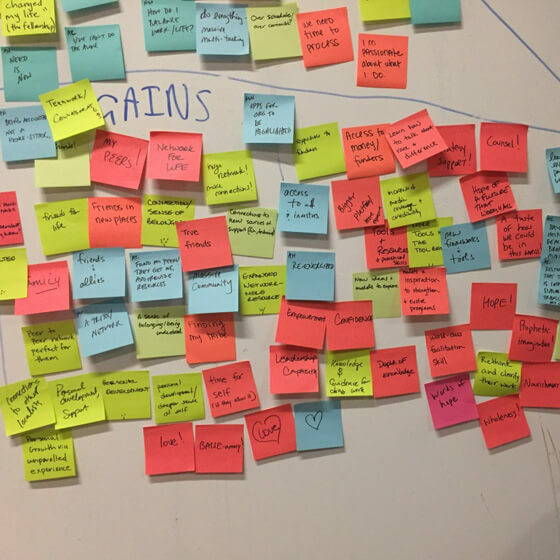 A website illuminating solutions underway and providing the tools and resources our audience is looking for. Grow the movement with increasing levels of engagement. 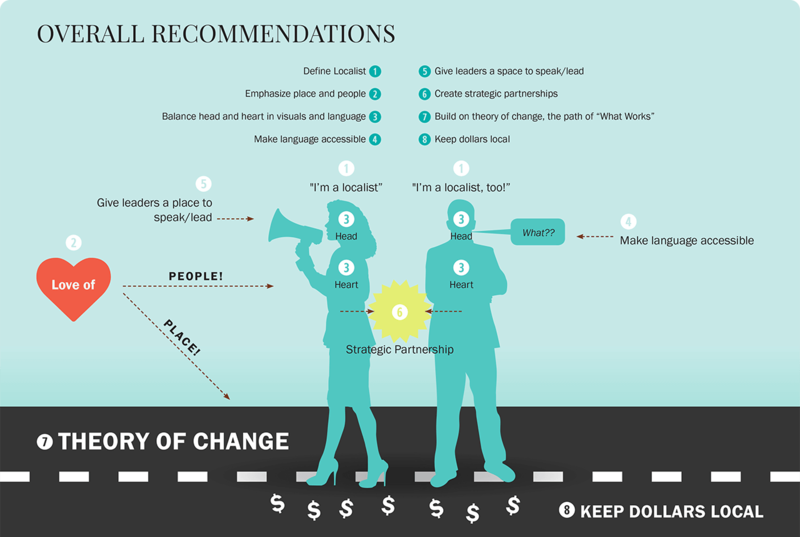 Paint the vision of something greater by orienting localism as part of the new economy movement. 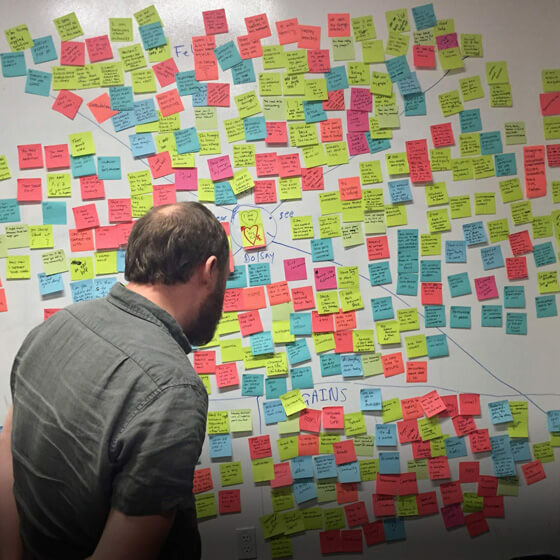 Encourage connection and collaboration by focusing on the community/ecosystem of support. 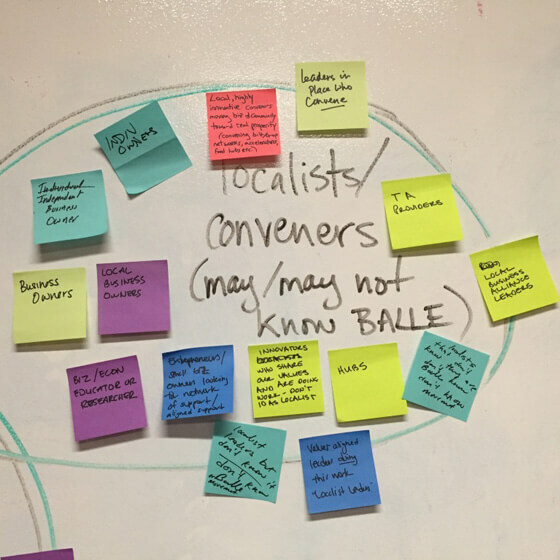 Inspire pragmatic, grounded action by providing tangible tools and resources needed to build localist businesses. Cutting-edge, responsive website and unified messaging strategy. 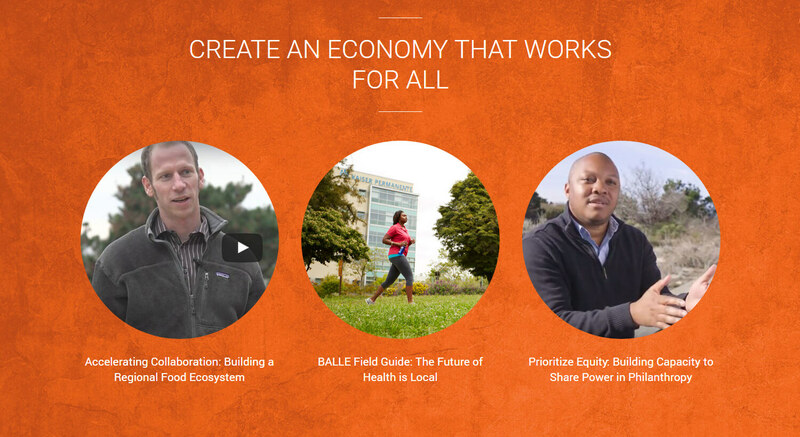 Provoc partnered with BALLE to promote proven models and a framework that builds healthy, equitable local economies. 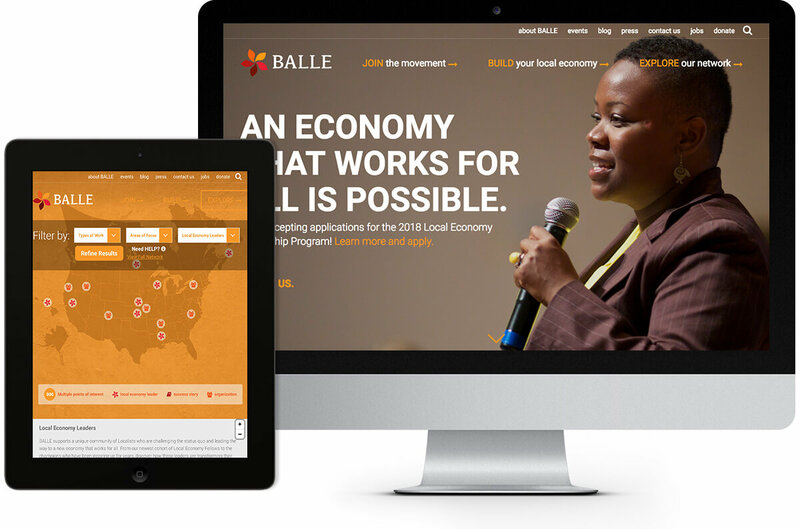 Building on a history of organizing independent businesses, BALLE was ready for a communications evolution, and a website that could better engage their Local Economy Fellows, community foundations and investors who come together to create an economy that works for all.